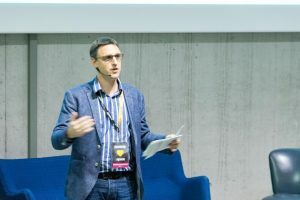 Jean-Yves Huwart, founder of SocialWorkplaces.com and initiator of the Coworking Europe conference was interviewed, last month, by Building magazine, a Canada-based magazine covering the Real Estate and Construction industry. It’s not a secret that the Real Estate industry is wondering how to deal with the growing phenomenon of coworking. The flexible model could slowly disrupt the traditional office market. New concepts have emerged. The landscape remains blurry, though, for outsiders. Many traditional players keep struggling to make the distinction between the wide variety of offerings: serviced office, coworking, shared workspace, incubator, business centers, fablabs, etc. As a matter of facts, instead of looking at the individual models, we think the challenge is nowadays to consider the emergence of a whole new hospitality industry, similar to hotels or restaurants. Could you start by outlining the key functions and objectives of Social Workplaces? We have been involved in the Coworking movement since 2010 (that year we organised the first Coworking Europe conference), and started to link up coworking communities from Europe and beyond. From a few dozens of coworking spaces in operation around the world eight to ten years ago, we have witnessed an increase to up to 13.000 units as of today worldwide, according to the Deskmag Global Survey 2017 which is supported by SocialWorkplaces.com. Through these years, we have had the opportunity to interview and talk with many tenants and operators. We have become more and more convinced that what coworking brought, first for freelancers and start-ups, was an actual re-invention of the function of the workplace, broadly speaking, for the digital age. This was for any kind of workplace, any category of employer. Once the ability to access your production tools has become ubiquitous, why is there a need for you to have a workplace? For us, coworking provided the answer: people need to be in touch with other people with whom they like to be with, both for their personal equilibrium as much as for professional reasons. This is especially important at a time when routine tasks can be more and more automated and when workers are requested to provide more creative and social outputs. We call this the Social Workplace, inspired by the coworking experience. How would you define specifically a coworking workplace relative to shared office, public workspaces (community centers, libraries), mixed workspaces, maker spacers and business centre workplaces? Coworking is open. You can show up anytime and propose yourself to become a coworker. Someone will walk (normally) towards you, be hospitable and make you comfortable. People flow in and out. This is similar to a hotel, a restaurant or a gym. It’s service driven. Usually, coworking spaces also create a proper identity and, thus, a sense of belonging that is at the root of the creation of communities. Shared office [models] are more closed. Certainly [in this model] you will be around the same people in the same building all time. This doesn’t impede social interaction. However, it will be more static. Those models are not exclusive between one another. More and more business centers open up coworking services within their buildings and hire a community manager to build up an emotional relationship with and between their tenants. The added value is no more – or less and less – in the provision of a facility; it is in creating a pleasant environment and experience. Are there significant differences between approaches in Europe and North America? Europe and North America are not that different, I would say, in terms of offerings. Big US cities, however, have a higher density of startups and digital workers. So we see bigger players, bigger spaces in the US. That said, it’s just a matter of time before we see Europe catching up in terms of growth. Who are the current main users/members of coworking workplaces? HOK/Cornet Global 2016 report suggests employees in a corporation are also now a significant and growing percentage of users/members? Freelancers are the biggest category of users so far. They are the historical first tenants because, in the beginning, spaces were smaller and did not necessarily have the capacity to accommodate bigger teams. The population of freelancers is growing everywhere, however, as the new working generation looks for more freedom and self-achievement. Plus, big companies’ headcounts keep shrinking. Sideways, we see more and more employees within coworking spaces. Corporations have started to authorise people from their innovation departments, for instance, to work from coworking spaces in order to be in touch with the local start-up scenes. Companies who need a smaller representation office in a city also tend to consider to use a coworking space rather than to go for an office long term lease. So far, in terms of overall numbers, the trend is marginal. We think it’s just the beginning, though. Fast growing SME’s do not hesitate to put all their teams in coworking space offices. The Office in the cloud (the cloud here being the coworking spaces) will become mainstream. What are the most important attributes of a successful coworking place; e.g. shared services, social interaction, flexible (varied and funky?) work areas, IT support? Pure coworking spaces rarely bother with IT support usually but they do provide a stable, secure internet connection. That’s it. Tenants’ tools are now in the cloud. Besides, today, neither startups nor freelancers need traditional assistant support. Sure, there are exceptions, but those are outdated services with the new generation of digital nimble companies as far as we see it. Again, everything is in the cloud. Spaces need to offer new kind of value adding services if they want to keep their revenue per user at the same level as in the past. Indeed, they need to provide a space with human focused connections, interesting events, social moments, fun and networking. This is what gives value nowadays, not forgetting flexibility and the opportunity to scale up or down easily. Within the coworking industry, what is the relationship between: 1) large international firms like Regus, Servcorp and WeWork; and 2) smaller independent operators? The analogy with the hotel industry is for me the most relevant. You have Accor, Shangri-La’s, Holiday Inn, Best Western proposals, aside from AirBNB’s, Bed & Breakfast, independent hotels, camping or even couch surfing. These can be fully complementary. Each reaching out to different needs, profiles or customer expectations, all according to the context of the booking. These accommodation offerings are not mutually exclusive, I would add. Depending on the context, you may consider staying at a Regency hotel because your need is professional only, you don’t look nor have time to socialise or discover a city. But on holiday time, the hospitality of a Bed & Breakfast or, even, the fun of couch surfing might suit you. That said, with hotels, etc., we speak only about a few days. The main difference between the need for lodging and the need for a workplace is the duration of the stay. With a workplace, you commit for a few months, at the least, not for a few days. The quality of the social experience then become a much higher driver of choice. What is the significance of secondary coworking spaces such as those promoted by hotels, coffee bistros, libraries, maker spaces, etc.? Again, the element of duration is key here. Working from a coffee shop during one or two hours (depending on the battery life of your computer) might be fully convenient. Noise and comfort are not (so) critical, in this case. This will be another story when you have to stay eight hours a day, five days a week. You probably will look for a proper work environment. What is the role/significance of LiquidSpace or similar apps that use the Airbnb approach to attracting workers? Liquidspace and the likes are like Booking.com for hotels. They are sales channels and helpful online directories. The dimension of service is critical, though. If space fails to provide the required hospitality and quality of service, the trust will be broken. This is a service business. Forget it, and you will lose. The HOK study raises the issue of upcoming renewal of leases for many coworking spaces, as many are based on five-year leases. Is this an important concern? It’s still a bit early to say, as the wave of bigger, stronger spaces is less than five years old, overall, in Europe. However, this is certainly a very big challenge ahead. We are not aware of accurate data about this. 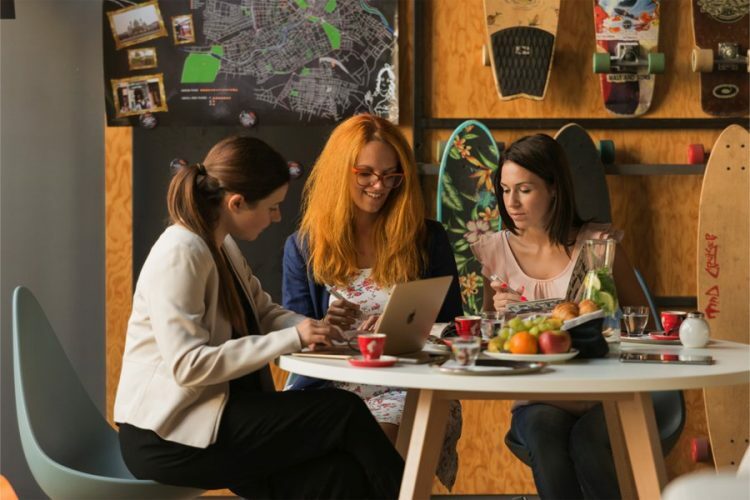 A lot of coworking spaces, through their activities, have brought a lot of value back to properties – sometimes to the whole neighbourhood within which they operate – and have not been rewarded for doing so. I would advise any coworking operator to really consider this when negotiating. That being said, we hear more and more of landlords getting in touch with coworking operators in order to partner up. I’m personally a strong believer in this kind of mutual partnerships where risk is shared. We saw those figures. As far as we understand it, this includes business centres as well. To me, the turning point will be when coworking space operators will be able to host companies with 200-300 people or more while providing mutualized support services without losing their ability to accommodate people on an individual base. 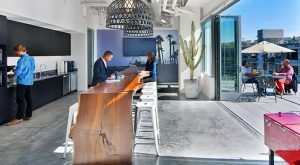 This will create convivial environments within full office buildings, with [the coworking operator] becoming a concierge, facilitator, connector, ecosystem builder, etc. 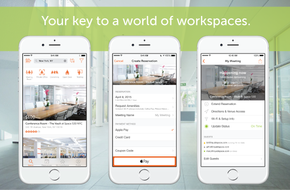 Social Workplace will become the standard. Ultimately, we believe that no employee will accept anymore to work in the old-fashioned, dull closed and dry office environment they have experienced in the last decades. Then, expect the penetration rate [of coworking] to become much much higher. In Summary, what is the future of Coworking workspaces over the next decade; what will be the key trends? This is just the beginning [but] it will evolve under many shapes. Head pic. Hotel Schani, Vienna. Indian Startup helps Startups or Small & Medium businesses to monetize and earn extra income by renting or sharing their idle or spare office infrastructure like Desks, Conference rooms, Skills and Office supplies like internet, projector, printer, coffee machine, etc., with other startups, entrepreneurs, freelancers to save money. With Indian Startup, you can share your Office spaces or Skills based on an hour or day to weeks or months as you want. The place and timing in working such places are flexible and has a reasonable cost. It also provides the opportunity to meet and interact with professionals of various fields, by gaining knowledge from their experiences through expanding your business networks and skills.